Sage Creek is a beautiful 45+ gated community designed with your lifestyle enjoyment in mind. 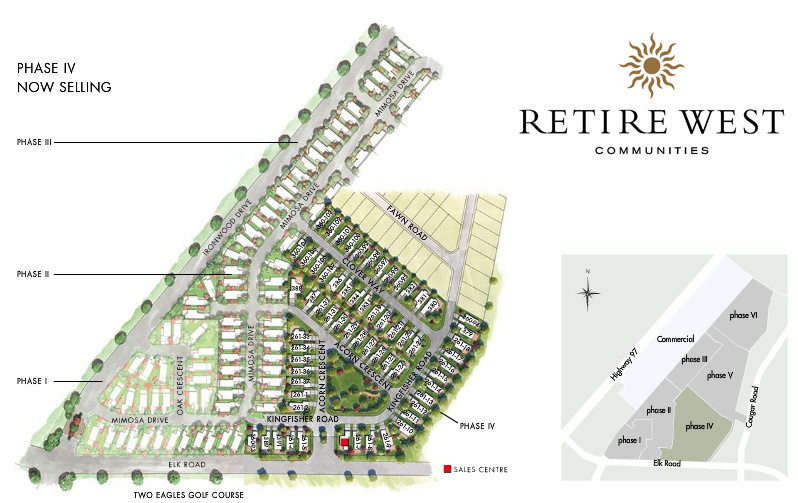 Retire West Communities, a family-owned, BC-based company, has planned, developed and managed modular home communities for over 35 years. Our homes are now in 14 prime locations in Alberta, Washington, Arizona and BC. But we do more than just build and service high-quality homes. We create neighbourhoods. Come join us at Sage Creek and have the time of your life. Buying a new home has never been this easy or this comfortable. Enter your new home at Sage Creek and what are you expecting to find? Immediately you will be struck by the incredible floor plan, the spacious living and the attention to detail that is found in every Sage Creek home. However, beyond the fabulous floor plan, take a minute to think about your life plan. Maybe you want to learn how to golf. Maybe it’s time to scale that last Scottish mountain. Perhaps you would like to just read a book a week next to a lake with the sun beating down on your skin. When you walk through the door of a Sage Creek home, you are not just walking into an exceptional home, but opening the doors to your the next chapter of your exciting and joyful life. At Retire West Communities we manage, as well as create, communities. Sage Creek’s on-site management team handles daily “stuff”. No strata council. Dreamed of roaming the country in your camper? Just lock up and take off. Sage Creek’s leasehold arrangement also frees up more of your equity. More savings to go travelling or indulge in this best time of your life. Choose your lot, then select from one of five floor plans that match your new way of life and many colour palettes of stylish, easy care finishes. Front yards are beautifully landscaped, in the back grow tomatoes, plant trees or just set out the lawn chairs. It’s ideal. The privacy your used to a neighbourliness with folk of your own generation and interests around you. Hurry! Only 39 lots left in this wonderful Okanagan community!